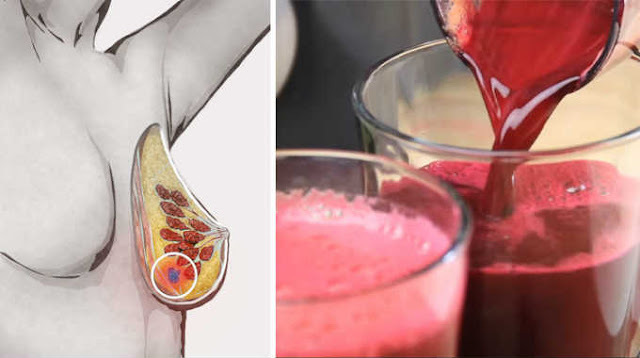 Home » Juice » 6 Reasons Why You Should Drink Beet Juice Every Day! If beets aren’t a regular part of your diet, they should be! Beets contain phytonutrients called betalains, which have been shown to provide antioxidant, anti-inflammatory, and detoxification effects. These colorful vegetables also contain powerful nutrients that protect against heart disease, birth defects, and even certain cancers! Here are six reasons you should add beets to your diet. The phytonutrients that give beets their deep red color may keep cancer at bay. Research has shown that beetroot extract reduced multi-organ tumor formations in multiple studies. Beetroot extract is being further studied for use in treating pancreatic, breast and prostatecancers. The combination of antioxidant and anti-inflammatory effects in beets makes them a likely candidate to reduce cancer risk. The nutrients in beets have been shown to support the body’s detoxification process. Beets are high in antioxidants, which help rid the body of waste and toxins, while strengthening the immune system. The betine in beets helps the liver cells eliminate toxins, the pectin in beets clears the toxins that have been removed from the liver so they don’t make their way back into the body, and the betalains in beets have high anti-inflammatory properties to encourage detoxification. Beets are amazing for your liver! Beets are high in fiber, which supportshealthy bowel movements. Adding them to your diet keeps waste materials moving through the intestines at a healthy pace. Beets are also a superfood for the colon! Studies have shown that betacyanin, a phytochemical compound in beets, can help fight colon cancer. Beets are high in Vitamin C and fiber, along with potassium and manganese. These essential minerals are vital for healthy nerve and muscle function, along with healthy bones, kidneys, pancreas, and liver. Beets also contain the folate, the B Vitamin that can reduce the risk ofbirth defects. Drinking beet juice can lower blood pressure levels in just a few hours. One study found that drinking one glass of beet juice lowered participants’ blood pressure by an average of 4-5 points. This can be attributed to the naturally occurring nitrates in beets, which are converted to nitric oxide in the body. This then relaxes and dilates the blood vessels to improve blood flow and lower blood pressure. Many illnesses and chronic diseases begin with inflammation in the body. Betaine is a nutrient in beets that protects cells, proteins, and enzymes from environmental stress. It also works to fight inflammation and protect internal organs, which helps to prevent numerous chronic diseases. Check out the video below to learn how to prepare a delicious beet juice!